Let me tell you something about my Bella girl. She is a GREAT sleeper. Always has been. So this afternoon when she started showing signs of needing a nap, I pulled her up on the sofa with me and told her to close her eyes and go to sleep. Now, this might not fly with most kids but Bella welcomes a good nap with her mama. Within seconds she was out and for an hour and a half, I laid there with her on top of me, soaking it all up. I know it sounds super cheesy but as I listened to her breathing with her mouth wide open, all warm & squishy, I just kept thinking... This is the good stuff of life. Next time I won't wear velour pants and cover up with a fur blanket before letting her fall asleep on me, cause sister is a heater and mama was burnin. UP! But, Was it worth it? Now, I'd love for you to meet my sweet friend Kaylee from Life Chasers .Not only is the girl a beautiful mom to two super cute girls, loves the Lord and has great hair...but she can also cook. Which I can not. So I thought I'd have her share a recipe with you today! Making food for my family ranks pretty high in my list of passions. But like many of you lately, the thought of being stuck in a muggy kitchen when it's blistering hot outside kind throws that passion out the window. 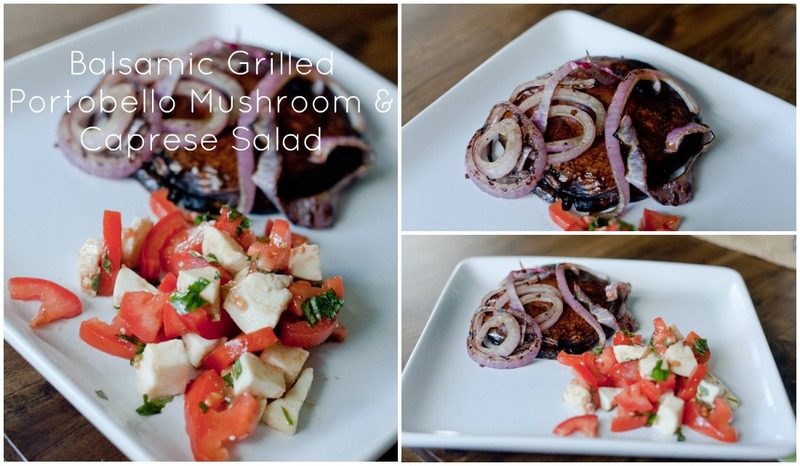 here is a super quick, easy, and healthy dinner we had the other night that was perfect for that exact situation. About an hour before we ate I took three portobello mushrooms and a sliced red onion and put it into a ziploc bag with just enough balsamic vinegar, olive oil, garlic, and s&p to lightly cover it. I let it sit for an hour before Ryan put it all on a hot grill for about 10 minutes. While he did that I threw together my favorite salad. Tomatos, fresh mozzarella, and basil drizzled in balsamic vinegar and olive oil. It was light and bursting with flavor. And the best part was I didn't have to cook in the kitchen. Next time I may do the exact same thing except serve it on a ciabatta roll instead. Either way, you can't go wrong with this combo. 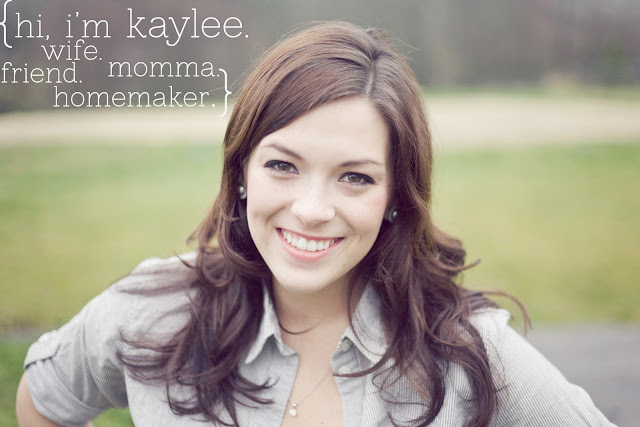 Please be sure to go visit Kaylee's blog and get to know her, you will be so glad you did! 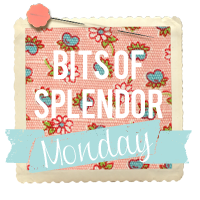 How did you find a Bit of Splendor in your week? Grab a button, Link it up and share! so precious! elijah is a heater, too :) he so rarely wants to sleep on me though, so i don't mind either! Every time my son falls asleep in my arms I take the time to savor every minor detail. The sound of his breathing and the feel of his breath against my neck, how warm his little body is, his weight in my arms, how his hair seems to be thickening up just a little bit, and the look of the cute dimple in his ear. I love it! I wish my little one would calm enough while I was holding her to fall asleep. I've found that is the only plus side of her ever being sick. Also I love Kaylee and her blog! Hope you had a wonderful weekend. naptimes together are so sweet!! how wonderful you were able to get a sweet photo of you two! I'm joining for the first time ever, and let's just say, Man! That IS some good hair. And some good napping. Along side some good Italian-inspired eats. Which is exactly what I'm writing / splendoring about this week. Oh how I wish my baby girl would snuggle. She's definitely no cuddle bunny, but at 9 months curiosity means that she'd love to be active and pulling on covers rather than being wrapped up in my arms. Here's hoping that as she grows she'll enjoy a good nap with me. Take care! Oh I love Kaylee! 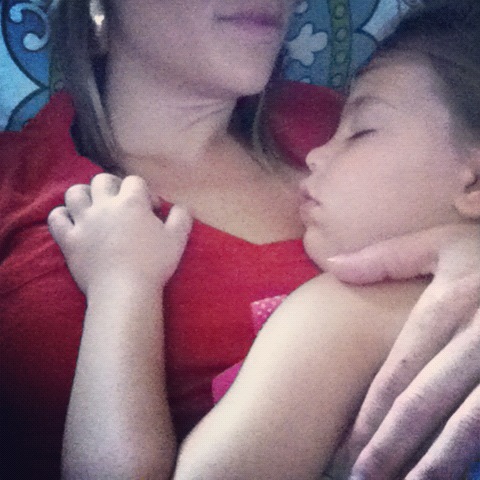 and this post was so so sweet about Bella sleeping on you, annnnd now I'm hungry! kaylee's cooking look SO good! Project Hope: Jump Right In! !